"Tired of the marketing hype, lies and pseudoscience of the fitness supplement industry? I was too, and that's why I decided to do something about it." I'm a fitness author, coach and avid sports supplement researcher who prides himself on an evidence-based, no B.S approach to building muscle, losing fat and improving overall health and fitness. 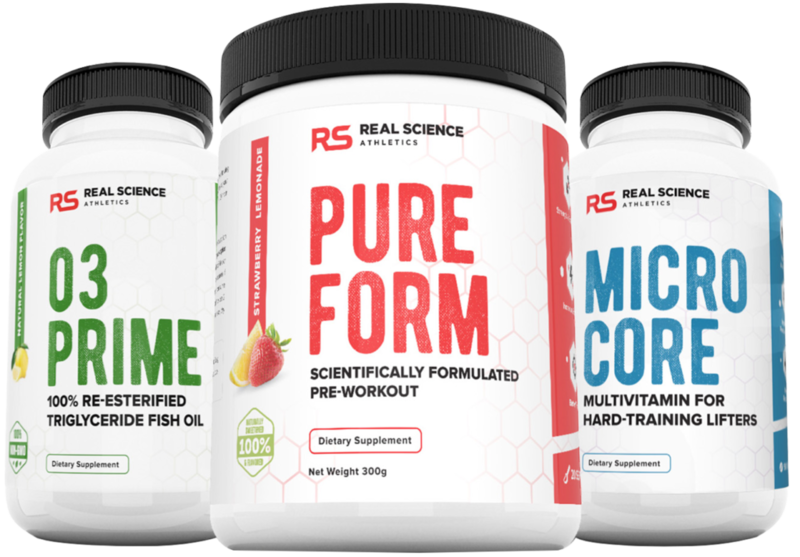 I founded RealScience Athletics to create premium quality, 100% research-backed supplements that would be sold honestly, transparently and for a fair price. No fads or silly gimmicks - just the key ingredients that truly work, along with excellent customer service to match..
You work hard for every ounce of muscle you build, every pound of fat you burn, and every strength gain you achieve. You stay consistent with your workouts from week to week, follow a properly structured eating plan, and manage your rest and recovery to support your fitness goals. THAT’S WHY YOU DESERVE HONEST, EFFECTIVE SUPPLEMENTS THAT TRULY WORK WHEN USED IN CONJUNCTION WITH YOUR TRAINING AND DIET. Over-the-top promises, “high profile” endorsements and flashy labels might look great on paper, but they don’t deliver what actually matters in the real world: results. The vast majority of popular “mainstream” fitness supplements on the market are, quite simply, garbage. In most cases, all they are is a random concoction of ineffective, under-dosed, and sometimes even dangerous ingredients that are not backed by reliable studies, created for the sole purpose of turning a profit. My goal was to identify every single thing wrong with nearly all of the current “muscle building” and “fat burning” supplements on the market today, and to formulate a product line that directly addressed and overcame all of these issues. THE 7 BIG PROBLEMS WITH THE MAJORITY OF "MAINSTREAM" FITNESS SUPPLEMENTS. Problem #1: Ineffective ingredients that are not backed by reliable research. Despite the endless list of different supplement compounds that are commonly claimed to build muscle, burn fat and improve performance, the truth is that only a very small percentage are truly supported by legitimate scientific research. The rest are based entirely on false promises and misleading claims that leave you with nothing but a thinner wallet and a minor placebo effect at best. In the world of supplementation, marketing is everything. Take some obscure ingredient, hype it up as the “next big thing”, support it with some seemingly convincing yet misleading “research”, and watch the sales come pouring in. It’s sad to see the dishonest lengths that most of the “big” companies will go to these days to make a buck, but unfortunately that’s just how the industry works. Problem #2: Weak dosages that produce minimal to no benefit. This is another area where a huge percentage of supplements fail miserably. Even in the rare formulas that do contain a decent ingredient profile, you almost never end up getting the proper dosage of each one. It doesn’t matter how effective a particular ingredient is – if it isn’t consumed in the right amount, its benefits will either be hugely reduced or completely non-existent. And since many companies blatantly hide their specific ingredient amounts behind a bogus “proprietary blend”, you often have no way of even knowing what’s really in the product in the first place. Problem #3: Dangerous additives and banned substances. Not only do most supplements contain ingredient profiles that are flat-out ineffective and under-dosed, but many of them are downright dangerous to boot. They often contain questionable combinations of stimulants whose long-term safety has not been verified, along with various cheap fillers, hidden ingredients, excessive doses of artificial dyes/flavors/sweeteners, and even blatant banned substances. For example, the largest retailer for online bodybuilding supplements recently pled guilty to selling products laced with synthetic anabolic steroids, while another highly popular brand was caught putting methamphetamines into their pre-workout formula. Problem #4: Low quality manufacturing methods. Are you receiving pure raw ingredients from verified high quality sources, or cheap alternatives from overseas? Are your supplements being made in a cGMP/NSF certified facility, or one that uses unregulated, cost-cutting processing methods? Are the products third party tested? Are they free of harmful contaminants? When shady companies flog off supplements that were produced by low quality manufacturers, it’s like playing Russian roulette with your body. They earn more profit by cutting down their production costs, but at the expense of your muscle building and fat burning results, and possibly even your health. Problem #5: Hugely exaggerated marketing claims. With misleading ads that promise you a ripped physique over night (as long as you take their supplement of course), most companies are concocting a complete fantasy and blatantly misrepresenting the true effects of their products. Sure, I enjoy the idea of popping back a few pills and seeing a massive over night boost in muscle growth and fat loss just as much as the next guy, but it just doesn’t work that way in reality. Supplements are just that: supplements. They are supplemental to your program and are only intended to cover up potential holes in your diet and provide a modest extra boost to your overall results. The right supplements in the right amounts are certainly worthwhile for the serious lifter or athlete, but proper training and nutrition will always be the cornerstone of any effective fitness plan. Not only are you being sold a flat-out ineffective product far more often than not, but you’ll usually be paying a decently high price for it as well. It’d be one thing to spend 5 or 10 bucks on something that didn’t work, but in most cases you’ll be dishing out 20, 30, 50 dollars or more per month, which can add up quite a bit over the long term especially considering that most trainees will be using multiple supplements at any given time. The markups on most popular fitness supplements are absolutely through the roof, with companies often paying just a few bucks to produce each bottle and then selling it for 10 times the cost. Problem #7: Blatant label fraud. As if all of this wasn’t enough already, the sad reality is that many supplements don’t even contain what their label says in the first place. If you’re going to get a supplement that doesn’t work, you should at least get 100% of what doesn’t work. Endless cases of outright label fraud have popped up over the years, even involving some of the biggest vitamin retailers in the world. If a company only includes 90% of what their label says, they immediately increase their profits by 10%. 10% might not sound like a lot, but when you’re moving thousands of units of product every single day, this can translate to huge amounts of money. You might be thinking that the 7 common practices above add up to a pretty bleak picture for the supplement industry, and you’d be correct. Fortunately, we saw a better way. We Do Things Very Differently. The last thing the supplement industry needs is another over-hyped, over-priced, run-of-the-mill line of pills and powders backed by nothing but lies and false promises. At RealScience Athletics, we’re NOT like the vast majority of other companies out there. And quite frankly, it’s something we’re very proud of. We wanted to take a different approach. An approach based on true science, real research, and intelligent product formulation… NOT on “fancy ingredients”, flashy labels and fake endorsements. An approach based on honesty, transparency and fairness… NOT on false marketing gimmicks, hype or deception. We don’t mislead you. We don’t cut corners. We don’t do anything that would compromise our integrity or detract from your muscle building and fat burning goals in any way. Create for you the supplements that we ourselves would want to buy. 100% research-backed, clinically dosed, safe and effective formulas that optimize body composition, training performance and overall health… and for an affordable price. Every single ingredient used in our formulas is fully supported by legitimate peer-reviewed scientific literature and has been thoroughly assessed for safety and effectiveness. If a particular compound isn’t research-proven to increase overall health, fitness and performance, you’ll never see it included in any of our supplements. Each of our product pages includes a detailed breakdown of every ingredient used, along with the specific benefits and scientific studies supporting each one. That way, you know exactly what you’re getting and why. Fancy “ingredients of the month” wear off and fade away, but pure, effective, research-backed compounds can always be counted on for the long haul. Proper clinical dosages for maximum effectiveness. High quality ingredients aren’t enough – you need the proper doses too. That’s why we don’t skimp out on potency to save on costs or “pixie dust” our products with minimal amounts of a large number of ingredients just to hype up the label. Every ingredient used is present in its clinical, research-validated dose to ensure you get the greatest benefits possible, and you can even confirm this for yourself since we provide all of the relevant scientific references for each one. Full label disclosure without any “proprietary blends”. There’s no reason whatsoever why you should have to “guess” at what’s included in a supplement you’re paying your hard-earned money for. That’s why we show you exactly which ingredients are included, in the precise amounts, without any bogus “proprietary blends”, hidden ingredients, cheap fillers or other dangerous substances added in. What’s on the label is what’s in the product, and what’s in the product is what’s on the label, guaranteed. An effective supplement plan shouldn’t break the bank. It should give you the results you deserve for a fair price. Since our products are sold directly from our manufacturer to you (we don’t sell anything in retail stores and there’s no “middle man” involved in our supply chain), we’re able to offer our formulas at a very affordable price. “Making a bunch of money” was never our goal in the first place – it was to create an honest exchange of value so that everyone benefits equally. Product safety and control is our top priority. That’s why our products are manufactured in a USA-based cGMP/NSF approved facility, the most widely-respected global third-party certification provider for supplement production. It costs a bit more on our end to go this route, but guarantees that you’re getting the purest ingredients and highest quality processing available. 100% naturally sweetened and flavored. While there’s certainly no consensus that artificial sweeteners/flavors are harmful when consumed in moderate amounts, the research in this area is still fairly mixed. That’s why we opted to exclude the commonly used artificial substances found in most other popular supplements, such as sucralose, aspartame, acesulfame potassium and chemical flavorings/dyes. Instead, we went with 100% natural alternatives such as stevia, fruit flavors and organic cane sugar to stay fully on the side and be certain that our products were safe for long term use. Honesty & transparency above all. In an industry completely overrun with gimmicks, false marketing claims and blatant lies, we pride ourselves on an honest, fully transparent, no nonsense approach. We acknowledge that supplementation is only one small piece of the puzzle, and that our products are only designed to provide a modest additional boost to your results while filling in any potential “holes” in your diet. Although we technically could sell any product we wanted, we stick to the proven basics instead (our current line includes just 3 individual formulas) so you can achieve the results you’re after as efficiently and affordably as possible. Our personal promise is simple: if we honestly wouldn’t buy it ourselves, we’ll never sell it to you. RealScience Athletics is the company you can count on. 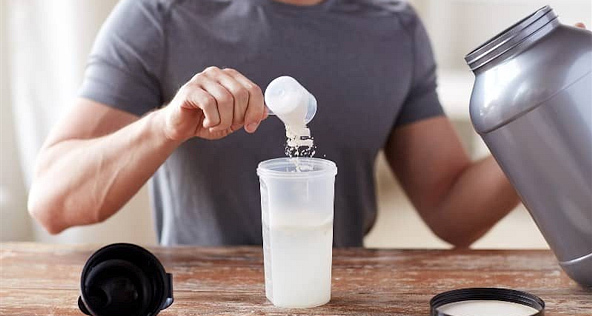 Clean, simple and straightforward supplements may not be as “glamorous” as those hyped up by flashy endorsements and fad ingredients, but that’s fine with us. Our focus is purely on what works and what will provide the greatest benefit to our users, and everything we do is centered around that basic vision. Thanks for stopping by, and we look forward to supporting you in your fitness journey. Click here to view our product list.